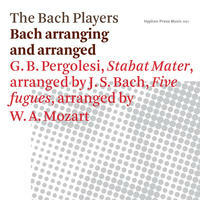 The Bach Players: Baroque instrumental and vocal gems. The Bach Players is a collective of like-minded musicians who are drawn together by their passion for the music of J. S. Bach: our enduring inspiration and the apotheosis of the Baroque. We play on original instruments and all vocal music is sung in its original language. We play without a conductor, and with forces that are as small as possible (mostly single strings and single voices). A genuine spirit of enquiry and reassessment pervades all aspects of our performance. 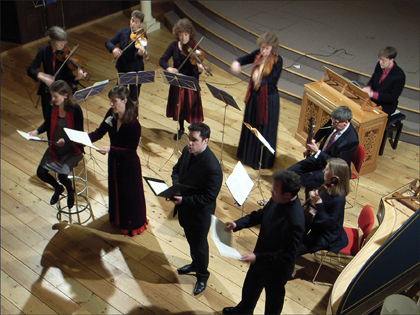 Founded in 1996 by Nicolette Moonen, we established a series of programmes of Bach cantatas in St John's Wood Parish Church in London. There we began to introduce some of these lesser-known works to a wider audience. As a result of this we have been invited to play all over Britain and have built up a faithful following. In 2007 we launched a new series from St John's Downshire Hill, in Hampstead. Our programmes now focus on themes that connect music from different parts of Europe in our period. 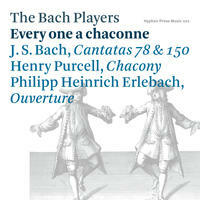 Bach is there in some, but not all our concerts, and is often related to other composers of his times. We are also developing links between programmes, over several years. 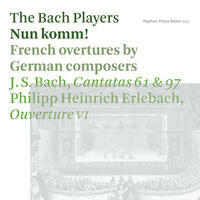 In 2008 we recorded and issued the first of a series of CDs based on these concerts. "... simply the best rendering I have heard, soloists ideally matched, and constituting a full and sufficient demonstration of the rightness of one-voice-per-part. Never for a moment did one feel the need for more volume; there was never that weird disparity of scale between solo and choral numbers which can make conventional performances so subtly unsatisfying; and the most gifted conductor with the most virtuosic choir could never have elicited the variety and quick-fire interaction that these quartets of intelligent singers brought to bear." 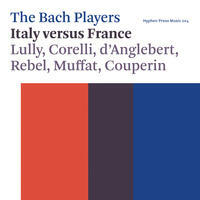 The Bach Players lives in London, England. Tagged as: Classical, Baroque, Classical Period, Classical Singing, Cello, Composer: Giovanni Battista Pergolesi, Composer: Johann Sebastian Bach, Composer: Wolfgang Amadeus Mozart, Organ, Violin.